May photo challenge day one! Day one is about goals for this month. 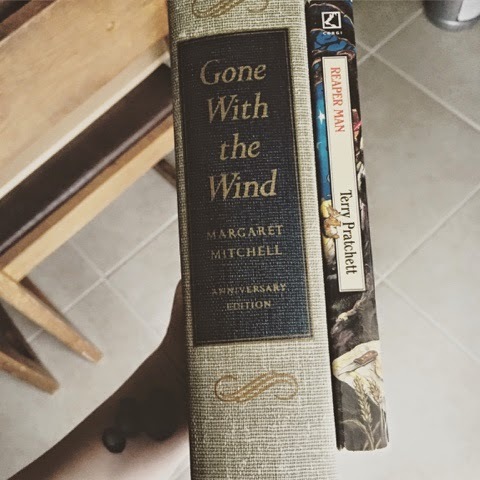 My main goal is to finish Reaper Man and (finally) Gone With the Wind! Not featured here is my current audiobook, Night Circus, which I also plan to finish this month. And I hope I will be able to start a couple other books. Wish me luck!